You can start your Scouting journey at any age over 6 and go on till you want to hang up your scarf and woggle. 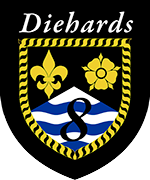 By joining the Diehards you will not only enjoy the rich programmes on offer but indulge in the pride and heritage of a wonderful Group and making new lifelong friends along the way. Scouting helps young people to be more independent, self reliant and learn good leadership teamwork skills all encased in fun and adventure. The Scout Troop went on a week end visit to see Scout Leader Tom Larkin (pictured left) in action as a puppeteer in the National Theatre Warhorse Tour. After the show, the star Joey was invested as an Honorary member of the Group as everyone felt that he displayed the right qualities of a Diehard. During the week end the Scouts took part in a professional puppeteering workshop and went on a hike in the New Forest to practice their mapping skills. Just one of many different things our Group get up to! If you are interested in joining or wish to come along and see us do get in touch so we can arrange a suitable visit or start date. Get in early as we have waiting lists! 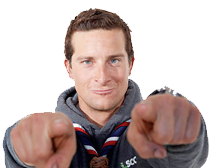 Would you like to put a little back and, as an adult, get involved with your local scout group? Submit this form and we'll get in touch to learn a little more about you and the kind of help you'd like to offer.